Attempt saved. Kylian Mbappé (Paris Saint Germain) header from the right side of the six yard box is saved in the top centre of the goal. Assisted by Julian Draxler with a cross. Corner, Paris Saint Germain. Conceded by Jason Denayer. Attempt saved. 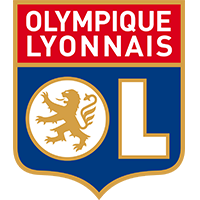 Houssem Aouar (Lyon) header from the centre of the box is saved in the top left corner.